Just yesterday (as I write) I returned a call to one of my Blue Cross Blue Shield (BCBS) of Montana clients in Kalispell. I’ll assign him a fictitious name of Roger Jones. He told me that another agent from Acme Health Insurance called him to interest him in a Medicare advantage plan sponsored by Acme Health & Life. Acme is a large national insurance company that is spending a fortune in TV and direct mail advertising. Roger continued by explaining that this agent called him multiple times. I asked Roger if he had called Acme or responded to any of their mailings. His response was negative. I queried Roger as to how this agent knew that he was one of the people receiving a non-renewal letter from BCBS. He had no idea. During the conversation Roger also explained to me that a second agent had also called and said that he represented BCBS of Oklahoma and could put Roger in one of their Medicare Advantage plans. I explained to Roger that the only Medicare advantage plans he can sign up for are ones that are offered in Flathead county, period. An Oklahoma plan is out of the picture. The parent company of BCBS of Montana is Health Care Service Corporation (HCSC) which is headquartered in Chicago. HCSC owns Blues in Illinois, Texas, New Mexico, Oklahoma, and Montana. This second agent could have purloined a list of Montana Medicare advantage members, maybe. Another possibility is that this whole Oklahoma thing was a ruse. It’s hard to say. The Acme agent may have been fishing (cold calling) knowing that sooner or later he would reach someone with a non-renewed BCBS Medicare advantage plan. It’s possible that he somehow acquired an illegal list. We don’t know for sure. These miscreant agents are like poachers. The poachers know the fish and game rules, but they ignore them and do illegal harvesting anyway for their own personal gain. These scumbag agents know the rules, but they flagrantly violate them in attempt to chase more commissions. Yes, they are commission chasers. Just as state fish and game departments have established rules for orderly hunting and fishing, CMS has established rules for orderly marketing practices for MA and PDP plans. If you see someone suspected of poaching, the way to stop it is to capture a license plate number and a vehicle description and report it to the local authorities. Here’s how you can put the brakes on these rule-violating agents. Ask for their name, phone number, and name of their agency. Then report it to the consumer affairs division of your state department of insurance. I recently met with two related couples in Sanders County, Montana. I’ll call them the Smith’s and the Jones’. One spouse of each of the two couples has a non-renewed BCBS Medicare advantage plan. BCBS has exited many rural counties in Montana including Sanders. For those unfamiliar with Montana geography, Sanders County borders Bonner County (think Sandpoint) in northern Idaho. The people initially reported to me when we set up the meeting in their home, that they had invited a third couple, their friends, John and Jane, to join us. John also has a non-renewed BCBS Medicare advantage plan. Upon my arrival to the Smith’s residence, the Smith’s reported to me that John and Jane would not be coming. Here is what the Smith’s said. John and Jane went to a seminar in Thompson Falls (put on by an Acme agent). John wanted to “get it over with”, so he signed up for an Acme Medicare advantage plan. They told us that the agent was giving away $25 Walmart gift cards. “That’s what they said,” the Smith’s said. It doesn’t make any difference if the gift cards were given to all attendees or just those that signed on the dotted line. The entire episode is another poaching violation. 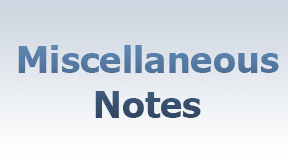 CMS has established explicit rules regarding gifts offered in a public seminar or meeting. 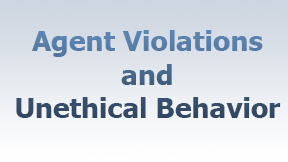 Again, these rules are hammered into agents in our annual recertification. The gifts can have a nominal retail value of no more than $15. If multiple gifts are given, they can have a combined retail value of no more than $15. Cash or cash equivalents (gift cards) are strictly prohibited. The gifts are to be offered to all attendees, not just those that sign up for a Medicare advantage plan. Meals are prohibited, but light snacks are permissible. The reason for CMS’ rules are quite obvious. They want to prevent gift-giving to be used as an inducement to get people to sign up for the agent’s Medicare advantage plan. Just like poachers, there are agents that choose to ignore the rules. What to do about it? Just as in the first situation, these agents should be reported to the Consumer Affairs division of your state insurance department. In Montana, their phone number is (406) 444-2040. It’s best to avoid these agents as they clearly demonstrate that the rules don’t apply to them. The real tragedy of the situation is that these miscreant agents are taking advantage of many vulnerable seniors who are confused by the entire Medicare maze. Can you imagine going to a doctor, and without doing any examination, he/she writes you a prescription, charges you $225 and sends you on your way? I have now run across several situations where the plans being offered by these Acme agents would cost you hundreds of dollars more per year in drug copays compared to other more cost-effective options. As just one example, a client of mine, Bonnie (fictitious), got conned into signing up for an Acme Medicare advantage plan sold by another agent. Bonnie has been with me for several years, and I knew that she takes several prescriptions. I asked her if the Acme agent ran her meds on Medicare.gov. She said no. After checking on Medicare.gov, I found the dismaying results. The Acme plan will cost Bonnie around $500 to $550 more per year in prescription copays compared to two other alternatives. $500 per year is around $42 per month. This is the last thing Bonnie needs for her already tight fixed-income budget. Sticking Bonnie with an extra $500 in bills for the sake of a $225 commission is an all too common example of agent malpractice. As mentioned above, these types of agents are nothing more than commission chasers. Every profession has its bad apples, Unfortunately, the three situations I described above are examples of our bad apples. One of the easiest ways to determine if said agent is a bad actor is to ask the following question: What companies do you represent? If that agent says only Acme Health, or only Best Buy Health, or only XYZ Health & Life, it’s time to move on. Every year goes by and I receive phone calls from clients that ask about an ad they saw on TV. Here are some examples. Explanation: The ad is for an HMO Medicare advantage plan offered by Purple Cross (fictitious) of Washington that is available in Spokane County. It’s not available for Idaho residents or in surrounding rural Washington counties. The ad does not make that clear. Explanation: This is in all likelihood an ad from a national health insurance company that offers a zero premium Medicare advantage plan in some of the larger markets such as Seattle, Spokane, Boise, or Salt Lake City. It’s not available in most rural areas. There usually is some unreadable fine print at the bottom of the ad or the voice over quickly says at the end of the ad, “Not available in all area” or something to that effect. What is boldly promoted in these TV ads? Yes, it’s the huge toll-free number held on the screen for eons to allow the viewer enough time to write it down. These ads are similar to pharmaceutical ads. They extoll the virtues of their product while ignoring or glossing over the downsides. The drug ads portray how wonderful your life will be if you “ask your doctor for this drug”, oops, “ask your doctor about……” Meanwhile, the voice over quickly rolls past the myriad of potential side effects in an almost non-understandable monotone. A couple in Bigfork, Montana showed me a mailer they received from Acme Health and Life, again, a fictitious name. The paper flier leads off with a bright red “0 or affordable premium….” The zero is in bolded bright red and the text reverted back to black. I explained to them that there are no zero premium Medicare advantage (MA) plans in Montana that include prescription coverage. I also said that in some counties Acme has available a zero premium MA only plan, but this plan has no prescription coverage. If you enroll in stand-alone prescription drug plan, then you will then disenroll yourself from this MA only plan. The couple said, “Isn’t that deceptive?” “Yes it is” was my response. In fact, I’d say it’s really close to bait and switch. You’re baited with the bright red zero only to find out that the zero-premium MA only plan won’t work for you. After you call the prominent toll-free number displayed on the flier and have an ACME agent visit you, the agent will discuss a plan with premium. You are baited with the bright red “0” and then switched to a plan with a premium. Acme skates free because the language says, “$0 or affordable premium…” It’s technically true, but it’s also unfeasible for most all consumers. This is classic bait and switch. Is the purpose of most Medicare related TV and print advertising to properly inform you about the products being advertised? Of course not. Instead the purpose is to use whatever manipulative trick it takes to get you to call the sponsor’s toll-free number. The AEP, also known as Medicare open enrollment, runs from October 15 through December 7th. We are working hard to serve everyone. If you have contacted us via a paper response form or through PDPHelper.com, we appreciate your patience. We are making headway. The AEP is the time when you can change your Medicare advantage (MA) or Part D prescription drug plan (PDP). If you have a Medicare supplement plan, you have the option to switch to an MA plan. For those who have been disenrolled from an MA plan, you have lots of time to elect your new choice. Medicare has established a special enrollment period (SEP) that begins December 8th and runs through the end of February. For those affected, you can choose a new MA plan, or you can take advantage of the guarantee issue rules and enroll in Medicare supplement plans A, B, C, F, K, and L with no health qualifications. For more details, please refer to our article I Received a Disenrollment Letter: What Now?. A question that comes up every year is when can I change my Medsupp plan. The answer is that you can change your Medsupp plan any month of the year subject to medical qualification. Please refer to the more detailed article, Have Your Medicare Supplement’s Rates Gone Up?. We have seen some minor changes regarding the Part D prescription plans. Some premiums have increased a few dollars here and there. One plan has a new lower premium and is quite competitive. One of the ways that a plan makes a hidden rate increase is by moving a drug to a higher numbered tier. For example, one plan from Best Buy Health (fictitious) has moved fenofibrate from a tier 2 generic to a tier 3 preferred brand. When fenofibrate was in the tier 2 category, it had a $4.00 copay and was excluded from the deductible. Now that it’s a tier 3 drug, it’s subject to the $405 deductible. Let’s say that fenofibrate has a retail price of $10.00. Last year you paid a $4.00 copay. If fenofibrate is your only tier 3 drug and all others are tier 1 and 2, then you pay $10.00 instead of $4.00 through the entire year. At $10.00 per month, you never meet the $405 deductible. Instead of paying $4.00, you now pay $10.00. A higher copay is a form of a rate increase. The large health insurance companies flood the air waves and your mailboxes this time of the year with their advertising. I have fielded several calls from clients that have expressed their anxiety that is caused by listening to or seeing print Medicare-related advertising. I just visited a home, and in the space of twenty minutes, I heard two Medicare related advertisements from a television in an adjoining room. The fact that the advertising creates anxiety, shows its effectiveness, as that is exactly its intended purpose. To relieve your anxiety that they created, you dial the toll-free number prominently displayed on your screen. Help is now on the way…uh, well, not quite. The best way to deal with it is to do whatever you can to limit your exposure to the psychological bombardment of your well-being from the ads. Throw the print stuff away, and mute your tv when the ads come. 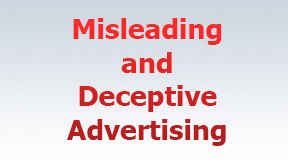 Please refer to our companion article in this issue titled Misleading and Deceptive Advertising. If exposure to paint fumes, for example, makes you feel ill, what’s the obvious solution? You limit your exposure or avoid it altogether. If you know someone who you realize is a toxic person, you can limit or even cut-off your contact with that person.